Chemist Warehouse has some of the largest discount product offerings that span a range of categories and brands. Browse their selection of fragrances, makeup, skincare, weightloss and vitamins. Click 'Shop Now' button to earn Cashback on all your Chemist Warehouse purchases. Cashback is for Chemist Warehouse China only. To receive Cashback on Australian orders, please visit "Chemist Warehouse". Cashback is ineligible on any prescription purchases. Cashback is ineligible when using coupon codes not listed on Cashrewards. 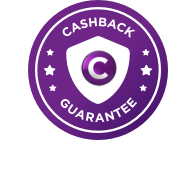 Cashback is ineligible when used in conjunction with payment by Groupon Chemist Warehouse vouchers or other third party promotional vouchers.